In 1971, comedians on the working men’s club circuit imagined that they would be free to continue telling their tired, racist, misogynistic gags forever. But their nemesis, a nineteen-year-old Marxist art student, was slowly coming to meet them. Thatcher Stole My Trousers chronicles a time when comedy and politics united in electrifying ways. 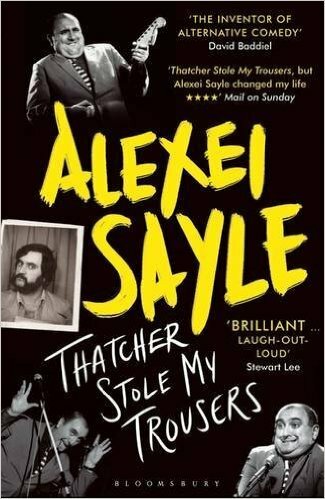 Recounting the founding of the Comedy Store, the Comic Strip and the Young Ones, and Alexei’s friendships with the comedians who – like him – would soon become household names, this is a unique and beguiling blend of social history and memoir. Fascinating, funny, angry and entertaining, it is a story of class and comedy, politics and love, fast cars and why it’s difficult to foul a dwarf in a game of football. Enlightening . Funny, smart, original and provocative ... It is hard to imagine the stalwarts of Mock the Week recognising the Druze militia leader Walid Jumblatt in a London cinema.